Minsk instantly reminded me of Moscow minus the absurd number of people. 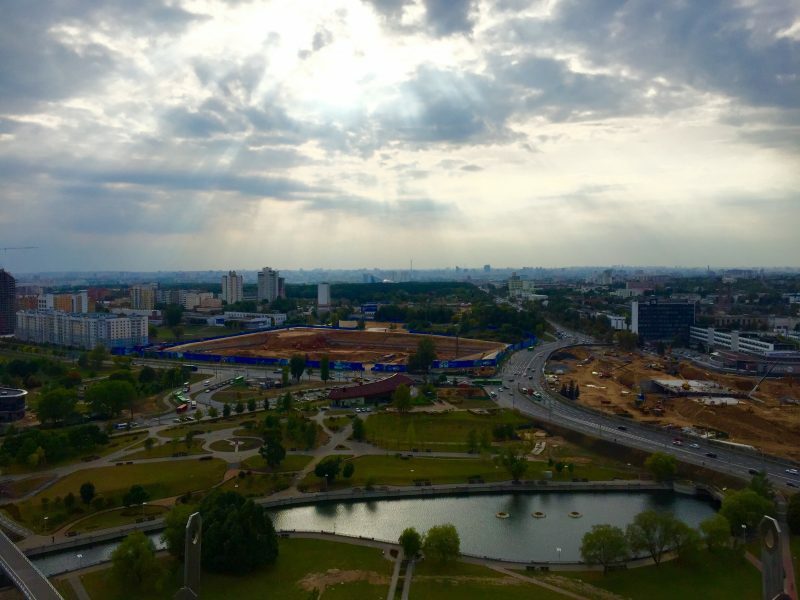 Minsk has the massive roads, wide variety of public transport options, fancy metro stations and dull apartment complexes with exotic buildings scattered in between. One of these exotic buildings is worth visiting, the National Library of Belarus. The most reviewed attraction on TripAdvisor for Minsk. Founded in 1922, it sits behind the big libraries in Moscow and St. Petersburg to claim the title of third largest collection of books in Russian (1st for Belarusian books obviously). The building is 72 floors high, with 22 floors with the rooftop (23rd floor) offering panoramic views of the city. A pretty standard library set up, staff behind the desks, books in shelves and computers scattered about. Personally I think it is worth going for a 15 minute walk around regardless. 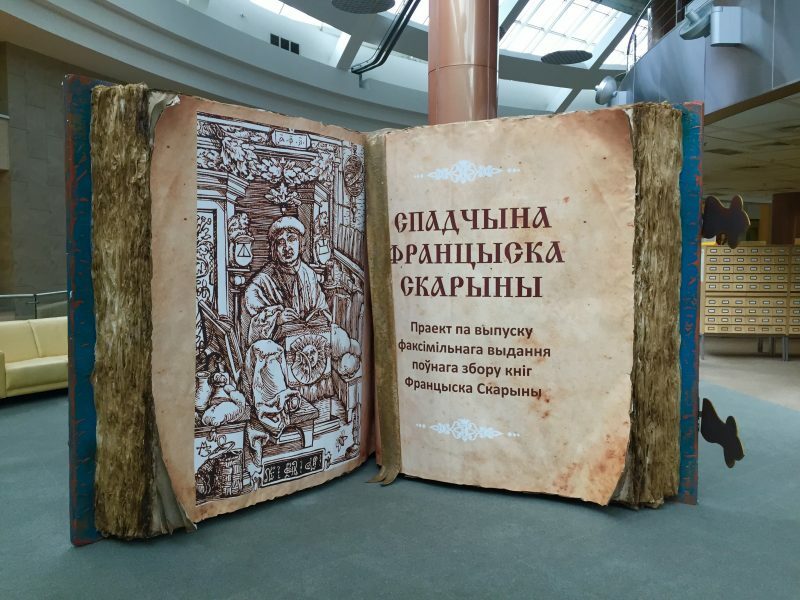 Pick up a couple books, pretend you know how to read cyrillic and check out the art work, which is pretty impressive. You cannot go up any further than the third floor, it’s all books and staff members for the next 17 floors or so until floor 22. Being a fancy building I was half expecting those flash toilets with the warm seats and things that wash your bum for you. Nope, that wasn’t the case, prepare for squat toilets. A definite reminder from South East Asia. 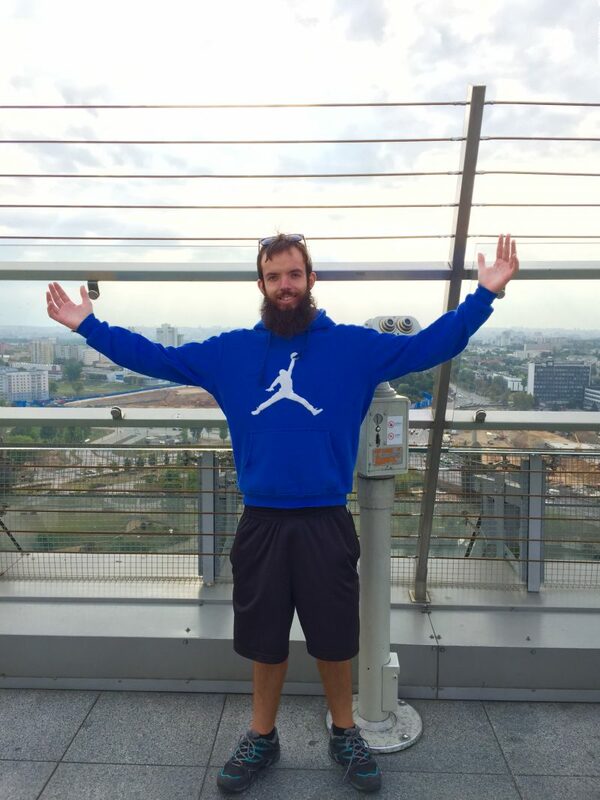 To get to the rooftop, simply follow the signs to the observation deck. You buy a ticket then are directed straight to the elevator with its glass windows entertaining you on the way to the 23rd floor. There is a high safety rail on the roof so all ages can safely be on the roof. There are a few of those binocular things you see at tourist sites, you don’t have to pay to use them but they were in bad condition when I went. On the 22nd floor you can find an art gallery (the art on the floors 1- 3 was equally as good) and a cafe (didn’t visit). To explore the bottom three floors, you will need to get a registration card. We only needed one card for two people (registration desk is to the right when you walk through the main entrance. Cost of the card, 6,000 BYR (0.33€). For the rooftop and art gallery, it is 30,000BYR for adults and 20,000 BYR for students. Very reasonable. 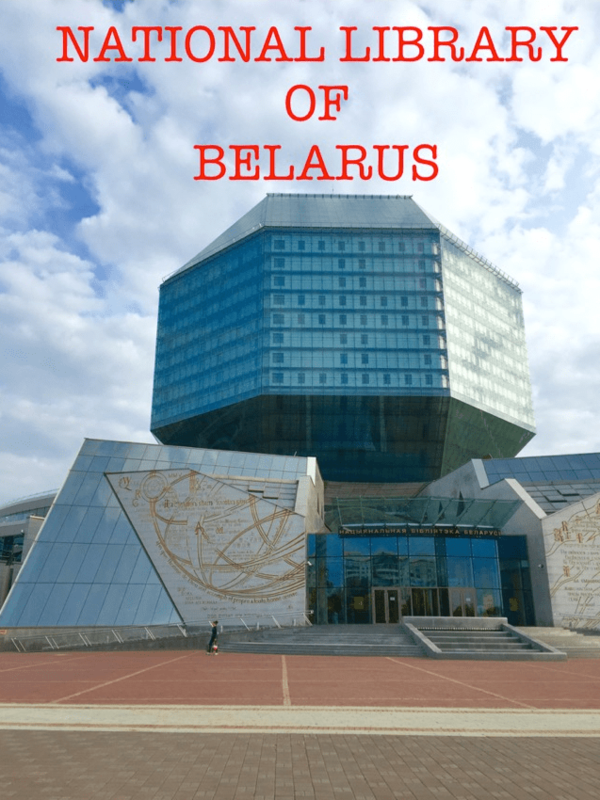 How To Get To National Library of Belarus? The Metro (blue) line can take you there. Get off at stop 122 and you will quickly see the building as you get out of the metro. It sticks out like a sore thumb (but in a good way). 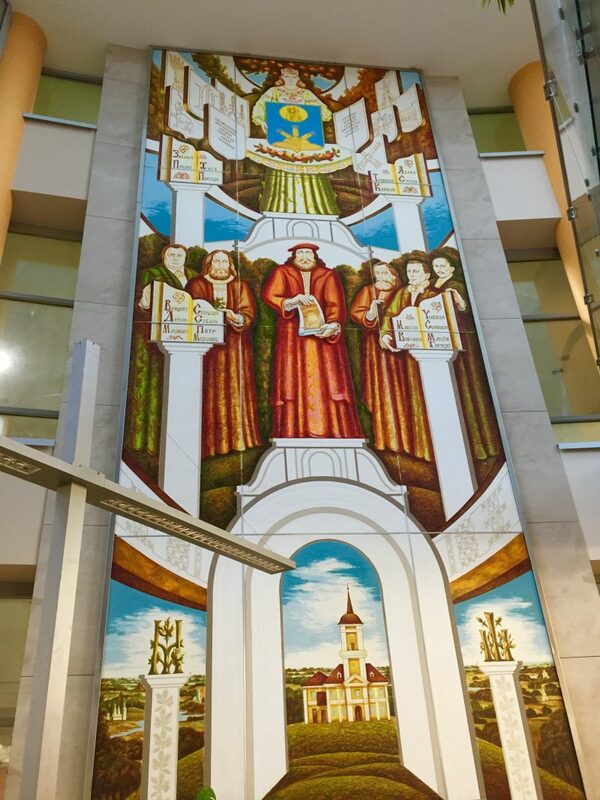 The National Library of Belarus is a must visit when you are in Minsk, bookworm or not.